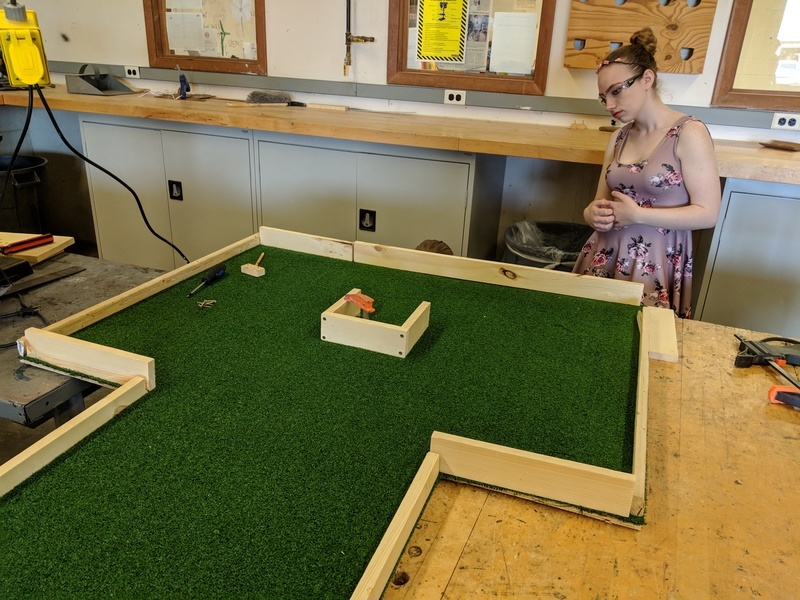 Mini golf is a great game for every age. 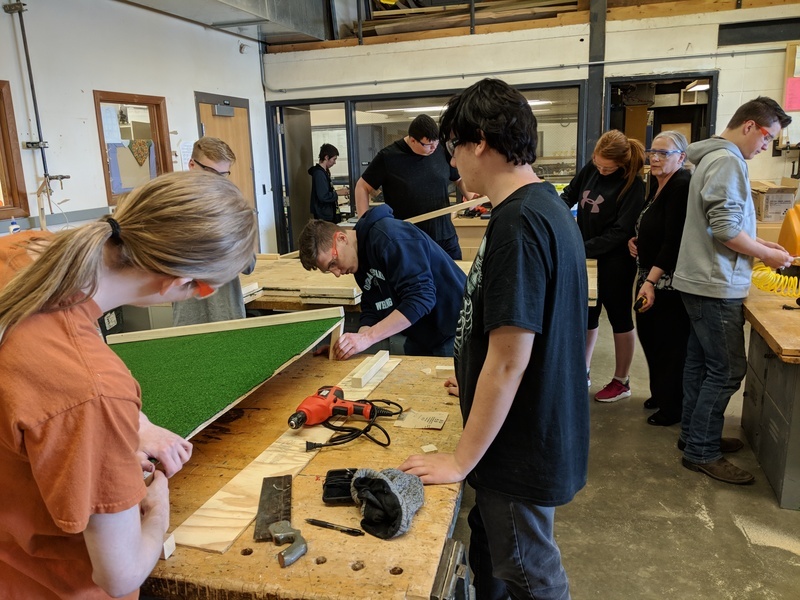 Mrs. Bower's STEM Geometry class was presented with a challenge to design and create a hole for a portable mini golf course. 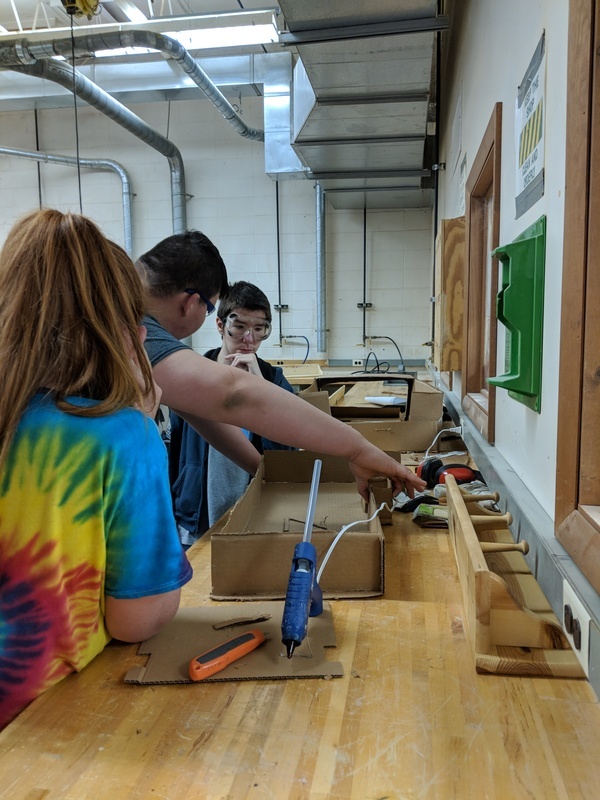 While following the Engineering Design process, students have completed research, created blueprints, cardboard models and are currently in the construction phase of the project. 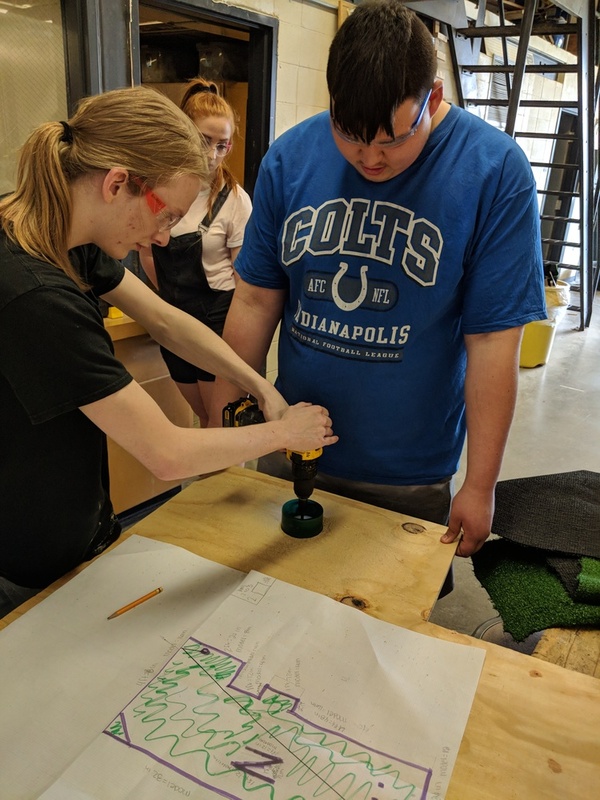 When finished with construction, students will test their designs to show their understanding of Geometry Reflections and present their results to the other members of the class.